The Fan-Action is over. We hit the german charts in #45!!! Feiert den 30. Jahrestag der Veröffentlichung der ersten Depeche Mode-Single "Dreaming Of Me". Geht am 20.Februar 2011 auf iTunes, Amazon etc. und kauft "Dreaming Of Me". Zusammen bringen wir die Single 30 Jahre später weltweit zurück in die Charts. 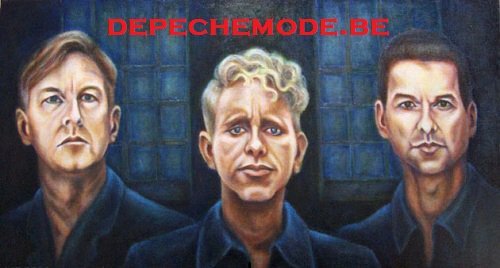 Join us and celebrate the 30th anniversary of Depeche Mode's first ever single release "DREAMING OF ME". On Feb.20th.2011, Help us and go to iTunes, Amazon etc, and buy the track "Dreaming of me". together we can bring the track, 30 years later, back into the worldwide charts!! Присоединись к нашей акции и отпразднуй 30-ю годовщину выпуска первого сингла Depeche Mode "Dreaming of Me". Сейчас и по 20 февраля 2011 года, купи на iTunes, Amazon и т.д... трек (песню) "Dreaming Of Me" и мы вместе выведем сингл, спустя 30 лет, обратно на вершины мировых чартов.